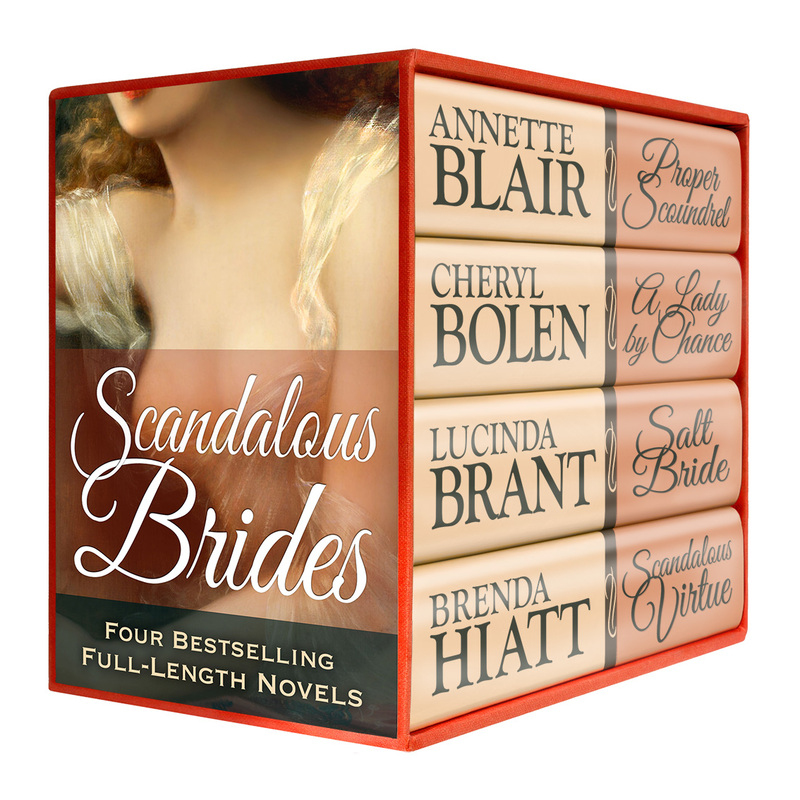 A New York Times (#4 all fiction) and USA Today (#1 all romance) Bestseller, SCANDALOUS BRIDES brings together the best of the best from Annette Blair, Cheryl Bolen, Lucinda Brant, and Brenda Hiatt. Fall in love with bewitchingly scandalous brides and their dashing grooms in this boxed set of 4 full-length Regency era romances. These bestsellers average over 4.4 stars from hundreds of combined bookseller reviews worldwide. A LADY BY CHANCE by Cheryl Bolen: Manipulated into a marriage of convenience, Anna and Charles, the Marquess of Haverstock, question each other’s loyalties. But there’s no question that Anna’s silken touch has bewitched the powerful lord who has become her husband, and no question that she craves every moment in his arms. SALT BRIDE by Lucinda Brant: The Earl of Salt Hendon and squire’s daughter Jane Despard share a secret past of mistrust, heartache, and misery. Forced into a marriage neither wants, Jane believes love conquers all; Salt will take some convincing. Can the newlyweds overcome past prejudices and sinister opposition to fall in love all over again?